Today on Windows blog, they highlighted technology expected to dramatically improve the ways that we design things (creating more accurate models and designs). 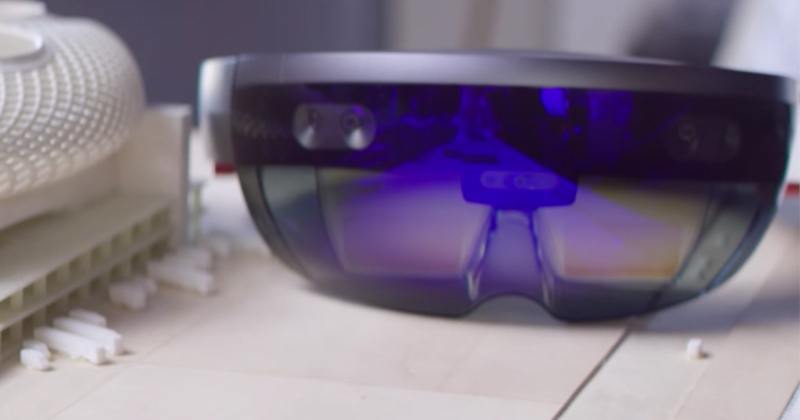 Learn more about Microsoft HoloLens and potential future applications. Every year, Windows has an event called the Venice Biennale. They hail it as the “Olympics of Architecture” because it highlights new and exciting technological applications that could drastically change the ways that we live our lives. These new products are part of an architectural commission of old buildings, but the applications for future technology are pretty much endless. This particular architectural masterpiece was commissioned by the event, but it shows how VR and design go hand in hand; and how VR will change the ways that envision technology. The designer (Trimble) used a mobile phone, a VR set, and other mixed-reality technology to help him create real-world scale; proportionate to human perspectives. What Will We Do With This Technology in the Future? Soon, designers will be creating whole towns and complicated electronics with more precise inter-workings. We also expect this project to catapult the ways that we look at prototypes and designs. Windows hopes to integrate Windows HoloLens technology to all VR capable devices by the end of this year- helping the world understand more about design and communicating hard-to-explain ideas. More information can be found on Windows blog.